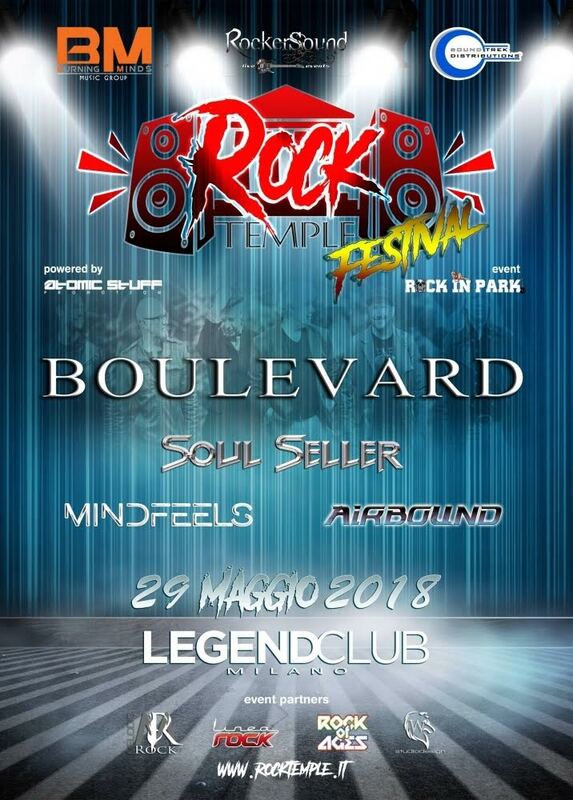 Rock Temple, the new international mail order dedicated to rock and metal music fans, in collaboration with Rocker Sound Agency & Burning Minds Music Group, is proud to share details of the first official edition of its "Rock Temple Festival", which will take place on May 29, 2018 @ Legend Club, Viale Enrico Fermi 98, 20161 Milan - ITALY (The event will be part of the "Rock In Park" live saga,). Tickets are available for purchase from on the official website of Rock Temple, in two different versions: "Standard" & "VIP". STANDARD TICKET - BUY HERE. VIP TICKET - BUY HERE. - Ultra-limted to 10 people: 49,90 Euro. Details: 1 ticket, Meet & Greet with Boulevard, 1 Festival T-Shirt, 1 designed VIP Pass (+ 10% discount on 1 order done on www.rocktemple.it). VIP TICKET is available exclusively on www.rocktemple.it within May 13, 2018. A special Rock Temple stand with Cd, Dvd, Bluray, Vinyls, Box Set and Limited Edition, dedicated to all the fans and collectors of AOR, Rock e Metal music, will be available inside the venue during the event.